It’s evident when you visit Port Moody’s Brewers Row, especially on a weekend, just how popular it’s become. Some days getting a parking spot can be challenging with locals and folks from nearby towns flocking to the area. That problem will soon be alleviated somewhat with the Evergreen Skytrain Line slated to start running in December, including a station (Moody Centre) directly behind this cluster of four breweries on a three-block stretch of Murray Street. And once you’re there, there’s no mistaking the vibrant and inclusive community spirit, which the breweries on Brewers Row have had a significant hand in building over the past few years. 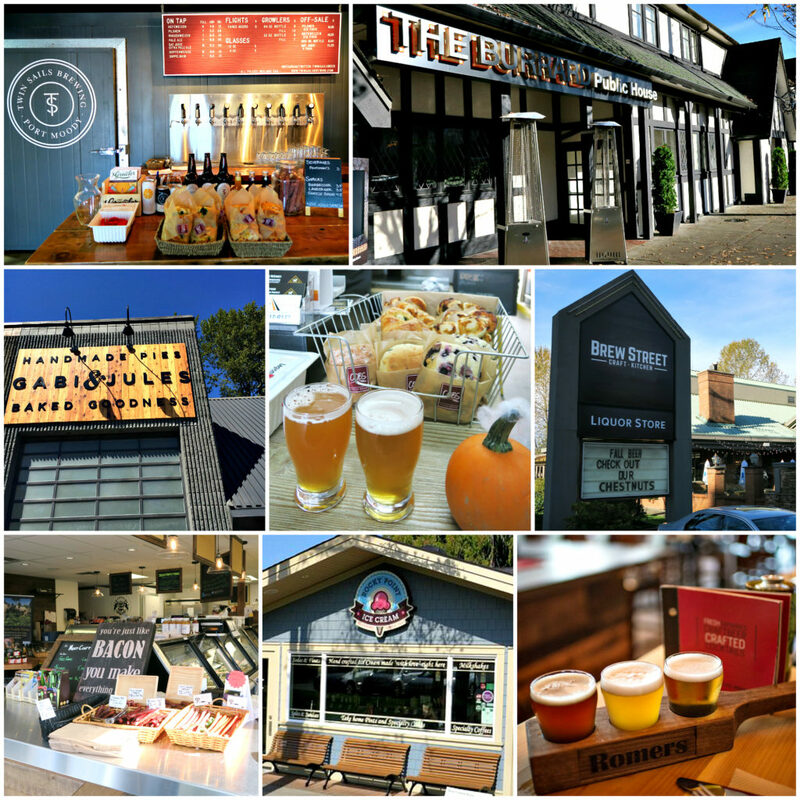 A collage of images highlighting the various partnerships formed between Port Moody businesses and the craft breweries on Brewers Row. Moody Ales opened in October 2014 and now supplies 11 local bars, restaurants and liquor stores with beer. 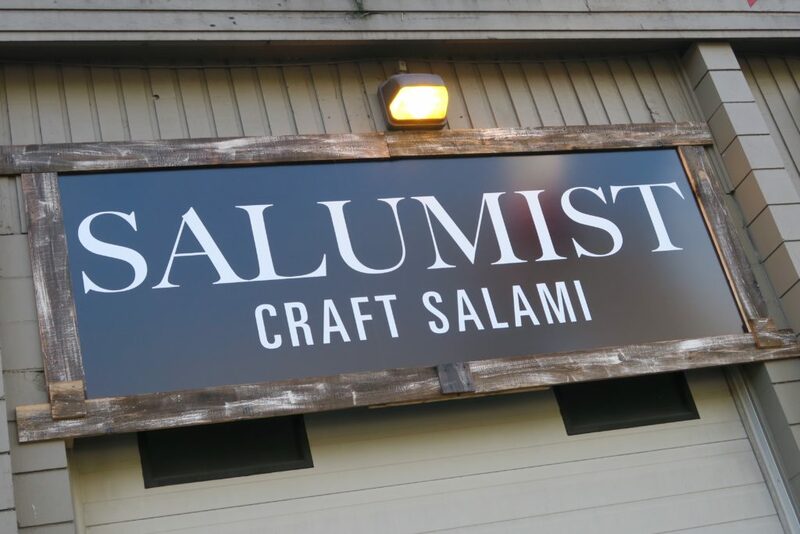 When you enter its tasting room you’ll find that relationship goes full circle as it is stocked with treats from Gabi & Jules, charcuterie from Sunshine Deli, and pepperoni from Meat Craft Urban Butchery, all local businesses. The Parkside Brewery, which just opened in June, already supplies 12 local bars, restaurants and liquor stores. Parkside has four collaborative food-and-beer projects on the go and works with local food suppliers for its bar snacks. It also has food trucks on site Friday, Saturday and Sunday. 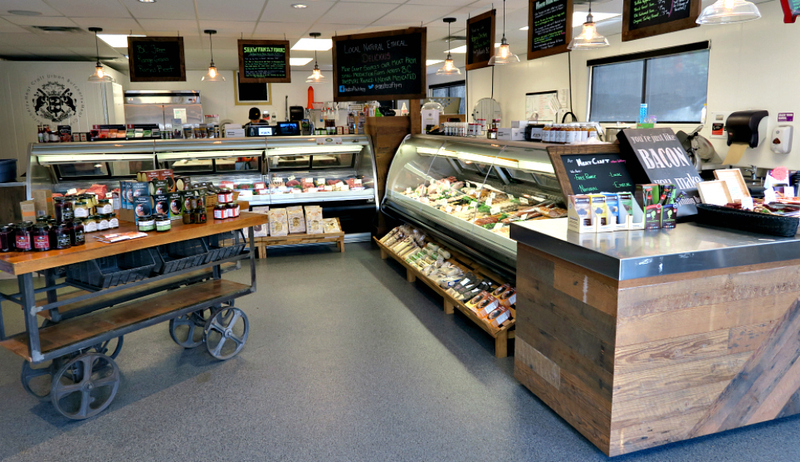 Inside Meat Craft Urban Butchery in Port Moody. In fact, you’ll find that all of the Brewers Row tasting rooms are stocked with local fare. I mentioned collaborations earlier, and for example, Rocky Point Ice Cream has collaborated with Moody Ales, Yellow Dog and Parkside on ice cream flavours. Meat Craft Urban Butchery currently features Yellow Dog Smoked Porter Sausage and has also collaborated with Moody Ales and Parkside. The Burrard Public House host the popular Tri-Cities Cask Festival in Port Moody each November. I spoke to a local who’s lived in Port Moody for years and she was quite excited about the opening of new craft-forward restaurants such as Romer’s Burger Bar and Brew Street Craft & Kitchen, which has 50 taps and will soon be adding 27 more. Romer’s has an impressive tap list, sells pre-filled growlers to go in the summer months, and during “Novemberfest” has Cask Night Fridays and a series of Brewmaster Dinners. Port Moody has also seen the migration of a few established pubs to craft beer, including The Boathouse, which has two taps dedicated to Yellow Dog and Moody Ales. 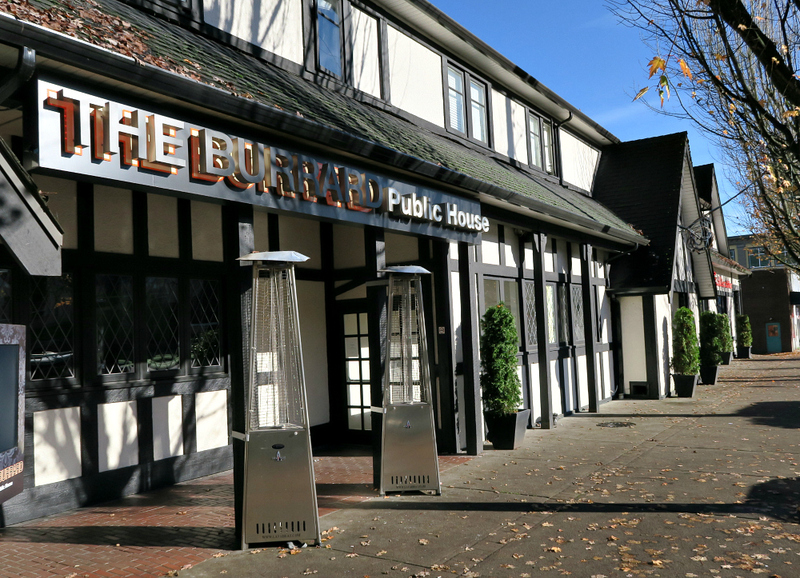 The Burrard Public House is the location for the already sold-out Tri-Cities Cask Festival coming up November 19th. Lastly, keep a lookout for Taps & Tacos opening soon. 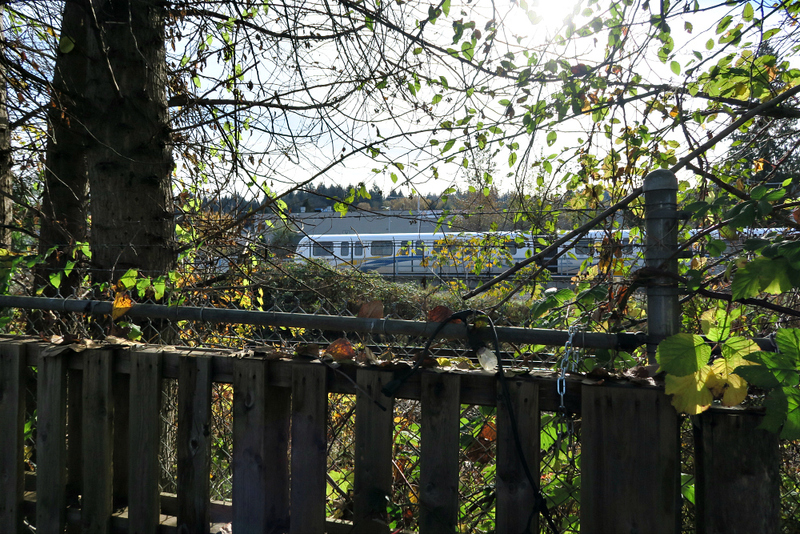 A glimpse of the new Evergreen SkyTrain line from Yellow Dog Brewing’s backyard picnic area.